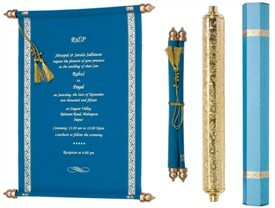 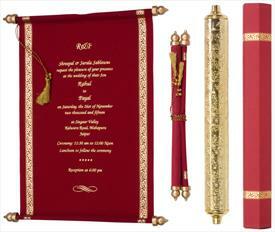 S952, Purple Color, Scroll Invitations, Jewish Invitations, Box Scrolls, High End Scrolls, Fabric Scrolls. 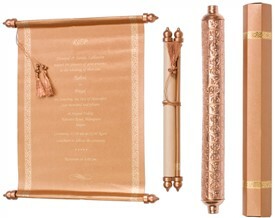 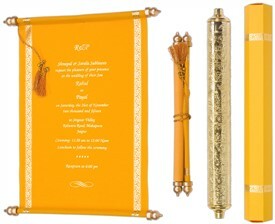 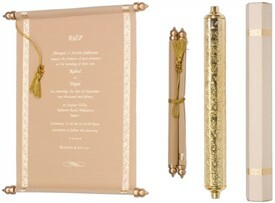 The scroll is contained in a beautiful handcrafted metal container with delicate carvings giving a look of a perfect royal invitation. 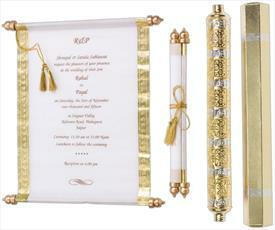 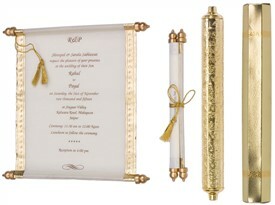 The main invitation goes in to a hexagonal box, which also has hot foil border matching to the main scroll. Hot foil printing in Silver or Silk Screen printing in Gold color. 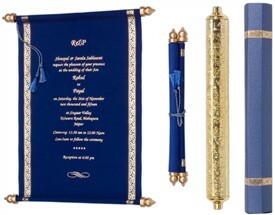 Box Scrolls Card, Highend Scrolls, Fabric Scrolls Card.